"The butcher and the baker were the first chefs, if you ask me." So states chef Marc Meyer of Cookshop in New York City. Then, on the restaurant's website, he explains that his passion runs deep for "sustainable ingredients, humanely raised animals and the support of local farmers and artisans." The result is a clever, impressive menu comprised often of local ingredients. And so you might be wondering: How about the wine? Not local. Like most New York City establishments, Cookshop had a very nice wine list that lacked New York state producers. But that has changed, thanks to the work of the Upstate Wine Company, which is barely a month old. Cookshop now carries Thirsty Owl 2008 Riesling by the glass ($12, or $18 for a quartino). "We see these great restaurants in New York City, and so many of them push the concept of local food, but their wine lists don't contain anything from New York state," says April Southworth of the Upstate Wine Company, a wholesaler based in Ithaca. "That just doesn't make sense or fit with their mission, and we think a lot of establishments will be open to carrying Finger Lakes wines." Company president Kevin Faehndrich stresses an important point: It has to be about the wine first, not the message of local or -- as Upstate Wine Co likes to feature -- sustainable. "When we make presentations, those messages are secondary to the wine," he explains. "If we're not offering a world-class wine, they're not going to carry it. Their customers have to want to order it, and they have to like it enough to order it again." For now, UWC carries the wines of Thirsty Owl Wine Company, Atwater Estate and Chateau Lafayette Reneau. Faehndrich expects to add several more before the end of summer. His team will target New York City, with a focus on pairing sustainable wine producers with restaurants that feature a similar ethos. "If we're walking down the street and we see a place that uses the words 'organic' or 'local' on the menu, that's potentially a perfect fit for us," Faehndrich says. "We will, though, go into anywhere that will have us. We're not going to shut something out as we build the business." Of course, organic winemaking is generally viewed as close to impossible in the Finger Lakes climate. Faehndrich recognizes this, putting the emphasis on "sustainable" over "organic." "We want to work with people who are conscious about their carbon footprint," he says. "And we know there are New York City establishments that are thinking about the carbon footprint of their food. It's only natural that they would think that away about which wines they carry. How much energy is consumed to bring in wine from California, and how much energy would you have to consume to bring in wine from the Finger Lakes? It's a compelling idea, especially when they realize that there are world-class wines coming out of the Finger Lakes." The idea might be compelling, but it has been slow to spread. Even in Cookshop, the Thirsty Owl Riesling is a lonely local in a sea of foreign options (though the wine lover would probably delight in the selection). But the Upstate Wine Company is banking on the idea that they can make progress and make money at the same time. Maybe it's because I work in marketing and understand why a winery would want to create of differentiation and exclusivity -- and often charge more for it -- but I often find myself taking a "prove that it matters" stance when I see a wine labeled as a single-vineyard one. I'm not saying that single-vineyard labeling is the same as "reserve" labeling. I'm just saying I'm skeptical and need to be convinced. Luckily, I'm convinced more often than not in the Finger Lakes. As Evan wrote about over a year ago, several wineries there are bottling single-vineyard wines these days and most do display the requisite unique character to warrant such designation. The single-vineyard rieslings from Hermann J. Wiemer are no exception -- especially if you taste them side-by-side which I did (look for a review of the HJW Vineyard riesling later in the week). Complex and classically Finger Lakes on the nose, Hermann J. Wiemer 2008 Magdalena Vineyard Dry Riesling ($36) shows ripe peach aromas with notes of orange blossom, green apple, lime and just a little spring water minerality. Anything but austere, this wine presents mouth-filling and similarly complex fruit flavors greet the palate -- peach, lime, kiwi and papaya -- with a delicate floral quality and minerality that begins mid-palate and carries through to the end of a long finish. There is some residual sugar here, but also plenty of well-integrated acidity to bring freshness, balance and focus -- all of which point to an interesting evolution in the bottle over the next 5-10 years. The wine bloggers are coming east -- and it's about time. The Wine Bloggers Conference 2010 in Walla Walla, Washington concluded on Sunday with organizers announcing that next year's conference will take place in Charlottesville, Virginia July 22-24, marking the events first non-West Coast location. Virginia beat out Paso Robles in California and New York's Finger Lakes region to be awarded the conference. I applaud the folks behind the event for breaking out of their West Coast rut and bringing the conference to the East Coast. I think it's an excellent choice and know that the folks in Virginia will put on a good show. When I was in Virginia this spring for Drink Local Wine 2010, sure I enjoyed some of the wines that I tasted, but more importantly I came away thoroughly impressed with the people behind them -- a diverse, talented group of people who will no doubt continue to develop and solidify Virginia's place in the wine world. It's more than a year away, but I plan to be at WBC 2011 and hope that the East Coast location means that more -- and different -- bloggers will attend. Heck, hopefully we can get a few European wine bloggers to fly over. That's one big advantage of the location I hope! Friday afternoon during Wine Bloggers Conference 2010 in Walla Walla, Washington, the New York Cork Report was awarded its second consecutive Wine Blog Award in the "Best Single-Subject Wine Blog" award. I'm not very good at writing these kinds of posts -- I prefer to write about New York wine instead of myself and the team -- but we are honored and humbled to be recognized by our readers and wine-blogging peers. It's always great to get positive feedback about something you're so passionate about. As the captain of this sometimes-crazy ship, I'd like to take this opportunity to thank intensely dedicated and smart people who devote so much their time and energy to the site, making it better and moving it forward. If this site were just me writing from and about Long Island, far fewer people would be paying attention and we'd not be able to offer our readers as rich and diverse an experience as we do today. Our regional wine blog model is a one that I believe strongly in and one that I'd like to see replicated in other lesser-known wine regions. With such diversity and breadth, I think it's impossible for any one person to cover a region and and cover it well. Get a gang of like-minded folks together, however, and you can make a real impact. With that in mind, you might just hear about some new "Cork Reports" coming online in the coming year. The ball is rolling in a couple regions already. Anyway, thank you again, and don't think for a second that we're going to rest on our laurels. As the NYCR has grown, so too has our shared vision for its future. Some of the changes will be subtle, but some will be anything but. Stay tuned. Think “great beer towns” and Rochester, NY may not immediately come to mind -- but perhaps it should. I’ve heard whispers of Rochester’s status as a craft beer diamond-in-the-rough for years, from bar customers, tasting room guests, and fellow beer lovers, so a spontaneous trip east seemed like the perfect opportunity to make a stop and find out what all the fuss is about. Rohrbach Scotch Ale was one of my early “gateway” beers, so I made the brewpub my first stop of the day. Friendly bartender Dana peppered me with samples, the best of which was a malty, sessionable brown ale. She strongly recommended I try the original Spring Lily soup. She was right. The soup contains seven different onions and melted Swiss on top and is phenomenal paired with a Munich-style pretzel dipped in house-made peanut butter mustard, which I washed down with a very smooth, not too sweet, creamy vanilla porter. Since she hadn’t steered me wrong, I went with Dana’s advice for my next stop: The Old Toad. Step into this cozy pub and right away you’ll feel like you’ve been beamed up to England. From the décor to the charming Brit students, rotated every year from England, to the World Cup matches on a huge flatscreen TV, the atmosphere exudes European warmth -- and that’s before I cracked open the beer menu. With over 160 beers on offer and four cask ale offerings, the sheer magnitude of selection is impressive -- but it’s the quality, not the quality, of the menu that is sure to raise eyebrows. The pub truly oozes passion. General Manager Jules Suplicki’s enthusiasm is particularly contagious as she talks hops. “My dream is to have two Randalls going simultaneously, maybe a Festina Peche just to get things running, and then a balls-out IPA,” she grins. Also a foodie, she adds, “I just got through making some sweet bread pudding with Young’s Double Chocolate Stout!” Suplicki describes her dream desserts with graphic hand gestures that overflow with an excitement for good food and great beer. Though I could’ve spent the day at The Old Toad, I was told no trip to Rochester was complete without a visit to Tap and Mallet. The bartender greeted me by offering a pint of cask-conditioned Ithaca Flower Power (perhaps the best New York State beer on cask). The Tap and Mallet rotates its thirty lines constantly and offers a house beer brewed by Philadelphia brewery Slyfox. Creative in every way, The Tap and Mallet has iPhone and Droid apps with tap list updates and offers special beer drinks for the World Cup such as a “beer Bloody Mary” called a chelada. With hip artwork on the walls, a fantastic selection, and outstanding service, this place has certainly earned its reputation as a top beer bar. I finished my evening at The Lovin’ Cup, which is right on the RIT campus. My eyes lit up when I saw the elusive Dogfish Head Midas Touch on the menu, and decided to pair it with a dish delightfully dubbed “Ooh Baby Olive Your Way.” The name goes with a running theme: menu items are named after rock songs such as “Heavy Metal Drummer,” “Baby Now That I’ve Fondue,” and “The Flaming Strips” (a strip steak sandwich), plus my personal favorite, “Go Ask Alice” – a stuffed mushroom. With live music every night, an eclectic crowd, and a rockin’ beer list that includes hard-to-find offerings such as Bear Republic Hop Rod Rye, this is a great hangout bar with a casual, friendly feel and delicious food. When the bartender asked me, “Do you prefer a snifter or goblet for your Midas Touch?” I knew I had found my new second beer home. It’s clear that Rochester has a strong scene of craft beer lovers and a culture of appreciative drinking that supports these outstanding businesses. Less than three weeks after Rich Olsen-Harbich left Raphael to lead the Bedell Cellars winemaking team, Raphael found his replacement -- North Fork native Les Howard. Only 35, Les has been working in the local wine industry for more than 15 years. He started at Pindar Vineyards as a cellar hand. It was there that Mark Friszolowski, then Pindar's winemaker, told him that he'd make a good winemaker and the rest is history. After five years at Pindar, Howard also worked for Osprey's Dominion Vineyards, Wolffer Estate Vineyards and Bedell Cellars — where he got to work with some of Long Island's most respected winemakers, including Roman Roth (Wolffer) and Kip Bedell (Bedell Cellars). Les then served as winemaker at Jamesport Vineyards for four years before returning to Pindar Vineyards where he made 80,000 cases per year as head winemaker, the position he resigned from to take the Raphael job. What will Les miss the most about Pindar Vineyards? Not surprisingly, it's the people "Running the largest winery in the region was a valuable experience. I enjoyed my time at Pindar and Duck Walk, and I’m going miss the Damianos family, especially the doctor (Dr. Dan Damianos, the owner)., who has been incredibly supportive. We all worked hard together to make quality wines, and I know they’ll continue to raise the bar. I’m also going to miss my staff; they deserve a lot of credit." I've known Les for a number of years now, and I agree that this is an ideal fit. Les is a smart, personable guy who has some terrific wines in his background -- particularly at Jamesport -- and I look forward to seeing what he does with the fruit grown in Raphael's vineyards, which are managed by veteran Steve Mudd. Les echoed my excitement saying "I’m excited to be working with Steve Mudd because he’s an excellent vineyard manager; I can’t wait to work with his grapes! And I think I’m going to be a good fit with the whole team at Raphael. Also, it will be nice to get back to a smaller production level, where I can be totally hands-on with the winemaking and get a little creative." Friday night, three Finger Lakes wineries will release two new vintages of their cooperative wine, Tierce. But if the goal for the wine is still the same -- Fox Run Vineyards, Red Newt Cellars, and Anthony Road Wine Company each contributing to a singular expression -- the release party will be far different this time around. The cost per person has been cut from $75 to $25. The menu will feature carefully selected hors d'oeuvres instead of a long and formal dinner. Winemakers will talk about the components and the final product, but there will be plenty of time for attendees to chat and mingle. Fox Run Vineyards will host the party in the barrel room, with a handful of tickets still available. But marketing director Leslie Kroeger makes an interesting comment, given the overhauled event plans. "We're not making money on this," she says. "Certainly not on the tickets. We hope for Tierce sales, but it's just as important for us to build word-of-mouth and buzz for the wine." Kroeger is conceding that even with a new focus, this kind of event is not a great source of revenue for the involved parties. She says they've sold about 50 tickets for the 7 p.m. party. Instead of trying to create the perfect formula that generates maximum profit, Kroeger says the Tierce producers have learned lessons from past events. "If we can use this kind of event to build a reputation and relationships, that's potentially more valuable," she explains. "The old format was a tough sell for many customers. I mean, a four-hour meal in an intimate setting is fantastic for some people, but we wanted to make sure more Tierce fans would attend. We wanted to get as many people there as possible." Kroeger does not believe there is a simple price limit that customers are willing to pay to attend wine-themed events. After all, Fox Run routinely sells out winemaker dinners in the barrel room at a ticket price of $75. But Tierce remains a relatively young concept, with the first vintage coming in 2004. Friday night the producers will release the 2007 Tierce, known as Tierce Red because the winemakers chose to make a red blend, along with the 2008 Tierce, another riesling. They expect to continue building a base of interested customers. Other challenges comes in the growing number of wine-themed events available to customers. More wineries than ever are pairing with local restaurants and farms to offer formal dinners. Most weekends offer some kind of lunch or dinner event, and that's aside from the myriad wine trail events that pair wine with local foods. We'd love to hear from you: What kind of event convinces you to spend your time and money? Now that Rich Olsen-Harbich has joined Bedell Cellars as head winemaker, this the kind of wine that I'm going to miss from Raphael, where he made wines for 14 years. That's nothing against the next winemaker at Raphael, whoever that may be. The wines will be different. They have to be. Raphael 2007 Natural Red ($26) is the first -- and perhaps last -- release of Naturale Red and I know that it is a wine Rich is extremely proud of. After one of the warmest growing seasons ever recorded on Long Island, the 100% merlot grapes were handpicked, sorted, de-stemmed and crushed by foot. The must was allowed to ferment using wild, indigenous yeasts, Rich's preferred method the last few years. Throughout the winemaking process he eschewed refrigeration, fining and filtration, didn't add any sugar, enzymes or acids, and added only minimal sulfur at bottling. Prior to bottling, it spent 15 months in 30% new and 70% old American oak. The result is a wine that shows both intensity and elegance -- in a unique Long Island way. The Old World nose is earthy -- pick up a fistful of topsoil and smell it earthy -- with black cherry, thyme, espresso, chocolate, mint and smoky oak. Full bodied with ripe-but-chewy tannins, there is an intense core of black cherry and blackberry here with dried fall leaves, spice, coffee and smoky oak that sticks out a bit, not fully incorporated. The finish is long and earthy-spicy. If you have a bottle of this at home, do yourself a favor and hide it. It needs more time in the bottle to really come together, but I think your patience will be rewarded. And at $26, it's one of the better values in age-worthy local reds. This month's New York Cork Club selections can be considered a brief exploration of dry rose in New York State. Before I say a bit about the two wines, first let me point you at more information about the New York Cork Club (NYCC). The quick and dirty of it is that we've partnered with BacchusWineOnline.com to build a wine club that features only wines made in New York -- making more accessible to people around the country. We can't ship to every state, shipping laws being what they are today, but we can ship to a lot of them. In selecting Ravines Wine Cellars 2008 Pinot Rose and Wolffer Estate 2009 Rose, we have two wines -- both dry -- from two different regions made in two very different ways. The Ravines is 100% pinot noir and offers nice floral character to go with orange-grapefruit, watermelon and cherry fruit flavors. Showing a subtle silkiness to go with fresh acidity, it stays true to pinot noir. It only has .3% residual suggar and Ravines winemaker Morten Hallgren was one of the first (if not the first) to make dry rose in the Finger Lakes. The Wolffer, on the other hand, is a blend of red and white grapes -- 46% merlot, 33% chardonnay, 12% cabernet sauvignon and 9% cabernet franc -- and is made in winemaker Roman Roth's preferred crisp, snappy style. Strawberries, peach and a grapefruit mingle on a fruity, fresh nose and the medium-bodied palate brings the same fruitiness with intense strawberry flavors with more subdued peach, citrus and kiwi character. Bright, thirst-quenching acidity plays nicely off of the slightly creamy mid-palate. Interesting in signing up? You can do so on the Bacchus website. Paumanok Vineyards 2009 Chenin Blanc: "An Interesting Accident"
As someone who has tasted several vintages worth now, it's almost impossible for me to understand why the Massoud family, owners of Paumanok Vineyards, are the only ones growing and making chenin blanc on Long Island. It ripens and performs consistently in the vineyard, not requiring unique or special treatment -- outside of the regular challenges of growing grapes in a maritime climate, of course. The winemaking Massouds, first Charles and now his son Kareem, have been working with the grape long enough to understand how to get the most from it in the cellar -- where it again doesn't necessitate any special techniques or trickery. And perhaps most importantly it sells out -- and quickly -- every summer. Even at $28. It borders on cult status, really. That Eric Asimov of the New York Times lauds it at least once a year doesn't hurt that status either. So why isn't anyone else growing or making chenin here? Ask Charles, who founded the winery in 1983 with his wife Ursula, and he'll smile, shrug and say something along the lines of "We don't know. But we are not complaining. "And why would they? They have a unique and delicious differentiator -- Long Island's only chenin blanc. The story of how the Massouds came to grow their now-seven acres of chenin blanc starts in 1989 when they purchased an abandoned vineyard out of bankruptcy. Even though the vineyard had been neglected for many years, the vines were still viable, though it was still a "gamble" according to Charles. "We started working on removing trees that had grown in the middle of many rows and it took us a few months to get it ready for the season," he remembers. There were 11 varieties growing in that 30-acre vineyard including chenin blanc of course and Charles asked the man who planted the vineyard why he had included chenin blanc in the first place, back in 1982. "He told me that because chenin is a more prolific producer than chardonnay, and since under BATF rules (at the time) one could add up to 25% chenin blanc to chardonnay and still call it chardonnay, that this was his way to cheat cash flow out of chardonnay." At that point, the Massouds' experience with chenin blanc had been limited to wines made in California at the time -- wines Charles refers to now as "flabby and totally uninteresting." They decided to pull out the chenin blanc, along with pinot noir, zinfandel, gewurztraminer and a bit of merlot. A half acre of chenin was out of the group, when they ran out of time and decided to take care of the remaining vines for the season -- mostly so it wouldn't get sick and spread disease throughout the vineyard. Uwe Michelfelder, an intern from Germany who is now a professor at the German oenology school Wiensberg, was managing the vineyard at the time, because the Massouds were still living in Connecticut. One day that summer, Michelfelder turned to Charles and told him, pointing to the chenin blanc "You know Charles, these vines look happy here. If I were you I would give them a chance." They decided to give chenin a shot. The vines grew and the little bit of fruit that year was discarded. The following year, Charles made wine from the crop and "We were stunned by the acidity," he recounts adding "We started paying more attention and our excitement grew as we learned more about the grape. In 1993 we even made a late harvest chenin blanc and to this day there are people who still ask for it." Paumanok Vineyards planted an additional acre of chenin blanc in 2000 and then added another four acres in 2005. When I asked Charles if the new vineyard coming online and producing a full crop might bring the price down from $28 he told me "If our production should increase, as anticipated, I am pretty sure it would affect the price." For this wine's many fans, this is great news. I know that I personally would like to be able to drink it more often. Charles calls his family's singular success with chenin blanc on Long Island "an interesting accident." I'm sure at least a few other growers wish they had such good luck. Aromas of honey-dipped pineapple, honeydew melon and Mandarin orange-citrus and white flowers mingle on an expressive nose. The dry, medium-bodied palate strikes a tremendous balance between vivacious freshness and slippery, lanolin richness. Melon flavors lead the way with more sweet pineapple, Bartlett pear, subtle honey and a squirt of Mandarin orange in the background. Do not over-chill. These secondary and tertiary notes evolve -- stepping forward and then back -- as the wine warms from refrigerator to room temperature. The lingering, fresh finish begs for local fish or pasta with a light cream sauce. 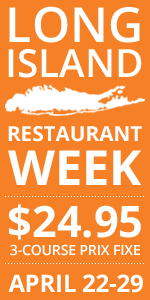 This weekend, the Long Island Wine & Food Festival invades the East End. This weekend-long celebration of Long Island's bounty promises to be a lot of fun and the Saturday schedule is jam-packed with events at wineries throughout wine country. In fact, it's so packed that it might be hard for you to decide just where you should go, so below are some of the events I'd recommend from full list (posted here). These are just a few of the events that seem the most interesting and well thought out. I'm sure that all of them are worth checking out. Chef Noah of Noah’s Place in Greenport will be at Bedell Cellars from noon to 2 p.m. cooking up some local seafood to go with Bedell wines.I don't eat much seafood, but Nena loves it and Noah has a great reputation for his work at Seafood Barge. If I had to pick only one place to go Saturday, it'd be Jamesport Vineyards, where they will offer three great-sounding food and wine pairings. The first “Pinot & Pig” will feature the winery’s 2007 Pinot Noir with pork belly by chef Guy Reuge of Mirabelle in Stony Brook (a long-time favorite restaurant). “Sparkling & Spice” will feature the Jamesport 2008 Sparkling Syrah -- the Island's first -- with food from Mesquite Tex-Mex Grill in my neighborhood in Sound Beach. And “Sauvignon Blanc & Shellfish” will pair local oysters and clams with some of the best sauvignon the North Fork has to offer. Sherwood House Vineyards is combining one of my favorite traditions — the summer barbeque — with their wines. They’ll be smoking traditional Bulgarian fresh and dry cured sausages from Trimona Foods over chardonnay, merlot and cabernet Franc vines. Festival organizer Jim Waters and Waters Crest Winery will welcome local chef Tom Schaudel — another of the event's organizers — who will cook, share stories from his new book and then perform with his band, Hurricane. This promises to be one of most fun events of the weekend and will likely stretch deep into the evening. Prices vary from event to event, so visit the event site and individual winery sites for all the details and a complete list of all events. And of course the Sunday Grand Tasting out in Greenport is not to be missed... even if I'm missing it. Tickets for the Sunday grand tasting —$50 per person or $90 per couple — are available online, including half-price designated driver tickets. As a part-time cheesemonger, I am routinely asked for my recommendations for cheeses. Composing a cheese plate for a party, pairing with a specific wine and making an addition or substitution for a recipe are all issues that I handle in a typical day when standing behind the counter. And, as we move into the summer months, more and more people are grilling outside and looking for that perfect blue cheese to top their steak, melt over their burger or even toss with a salad of field greens. Invariably, my first suggestion is “Ewe’s Blue” from Old Chatham Sheepherding Company in upstate New York. Tom and Nancy Clark own the largest flock of dairy sheep in the country on their farm in Old Chatham, located in the heart of the Hudson Valley. Using the pasteurized sheep’s milk from approximately 1,200 East Friesian crossbreeds, “Ewe’s Blue” is a soft and moist blue cheese made in the Roquefort style -- a style typified by a sharp flavor with a hint of acidity and salt on the front end, and a rich and creamy paste on the interior, with a long and lingering finish that can sometimes bring about a hint of smoke. The veining is blue with pockets of green that give this cheese such a sharp tang and what is generally associated with a “blue” flavor. What I find most remarkable about this cheese is the unctuous texture. Of the three milk types generally used in cheesemaking, sheep’s milk is the most distinctive in that it has higher milk fat content than either cow and goat milk. The result is a higher concentration of fat within the curd that gives these cheeses a rich mouthfeel and complexity. With the high fat content and salty bite on the front end of this cheese, an assertive wine or beer is needed in order to complement. Classic blue cheese pairings include beverages with a sweet component to balance the saltiness, such as a barley wine, port or even a late harvest riesling. Although this cheese is based on the Roquefort style, Old Chatham Sheepherding Company has created a truly American artisanal cheese that propels us forward in establishing our cheese cultural identity. Paul Brock, head winemaker at Lamoreaux Landing Wine Cellars on Seneca Lake, is preparing to leave the winery for a new job as an instructor of viticulture and enology at Finger Lakes Community College. FLCC is expanding its emphasis on wine growing and winemaking and Brock tells us, "It was an opportunity I could not refuse." Brock is well suited to a classroom setting; he's an intellectual who brought new ideas to Lamoreaux Landing and often enjoys discussing and debating winemaking. Under Brock's leadership, Lamoreaux Landing expanded its single-vineyard riesling program in the past year to include three separate bottlings. He says he'd like to stay connected to the Finger Lakes wine industry in some form beyond his new job at FLCC, but nothing has been finalized. Lamoreaux Landing has already begun the search for a new head winemaker. Brock has an M.S. in Enology and Viticulture from Cornell University and a B.S. in Chemical Engineering from Rensselaer Polytechnic Institute. 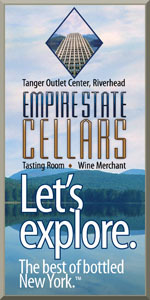 Prior to Lamoreaux Landing, Paul made wine for Ravines Wine Cellars and Keuka Lake Vineyards in the Finger Lakes, and Whitehaven Wine Co. in Marlborough, New Zealand. He is a graduate of the American Wine Society Judge Certification Program and holds an Advanced Certificate in Wine and Spirits through the Wine & Spirit Education Trust of London, England. John and Nancy Bruno, owners of Oak Summit Vineyard in the Hudson Valley only do pinot noir. It's the only grape the grow in their 6-acre vineyard. It's the only wine they make. And they are proud of the fact that they only use estate-grown fruit -- not always the case in the Hudson River Region. Their website states "There are no other grapes allowed in our wine. What you get in the bottle is what you see in the vineyard." The idea that wine is made in the vineyard has been pushed into the land of cliche by wine marketing and PR folks of course, but that doesn't make it untrue. No one thinks of pinot noir when they think of the Hudson Valley, but if this wine is any indication, it can be done -- and done well -- at least on a small scale. Aromas of fresh red cherries and raspberries are accentuated by those of dried flowers, cocoa powder, warm spice, damp earth and just a little smoke. The lithe, fresh palate -- though a bit less interesting than the intricate, layered nose -- presents cherry and strawberry fruit backed by spicy oak and chocolate. Acidity brings structure to go with silky, well-incorporated tannins and moderate alcohol. The finish is medium-short and shows a bit of raw oak, but that barely detracts from the spicy, chocolaty finale. Now here is something unique on the local wine scene. Look at a bottle of Bouke 2009 Perlant ($17) and it might not seem like a one-of-a-kind. Scan the back label and you'll learn that it's a blend of pinot gris, pinot blanc and pinot noir -- interesting maybe but not unheard of. To understand what is so unique about this wine, you need to either know a little French, or crack open the screwcap closure and pour. You see, in France, "perlant" refers to a wine containing a faint amount of CO2 -- not quite a sparkling, but not still either. Poured in a glass, a thin layer of bubbles blankets the wine for a moment before dissipating. The effervescence falls somewhere between Moscato D'Asti and vino verde. Pear and lemony citrus aromas are clean and bright with just a little nuttiness in the background. The nose isn't huge, but I wouldn't call it austere either. Acidity and CO2 -- mostly the CO2 -- combine for a lively, fresh palate in the extreme, bursting with pear and green apple fruit, subtle peach undertones and something that hints at cherry. Before I looked it up, I found it hard to discern how much residual sugar was there -- the acid-bubble combo is so snappy -- but the finish is definitely dry, though short, and shows a bit of tonic water quinine character. Though simple and a little short, I can see enjoying a bottle (okay, many) out on a dock with a group of friends, nibbling cheese, grilled vegetables, cured meats and eating local shellfish, enjoying the sun and revelry, every sip refreshing and cleansing our palates. This is a unique reminder that not every wine needs to be mind-blowingly complex to be enjoyable. I dig brettanomyces in beers as long as it’s not overpowering, so I picked up the 2009 edition of this “Funkhouse Ale with Brettanomyces” from the self-proclaimed little slice of Belgium in Cooperstown, Brewery Ommegang. A yearly specialty brew, it was cellared at the brewery; Ommegang recommends aging this and many of their beers so I had no qualms about trying it at 13 months old. Ommegeddon pours a four-finger head with fair lacing retention and a cloudy peaches-and-cream color. The nose doesn’t show a lot of brett – mostly citrusy yeast esters and a hint of barnyard funk. A full, highly carbonated palate offers an Orange Julius-style creamy mix of orange and and coriander and solid earthiness courtesy of wild yeast. It’s quite hoppy on the finish thanks to dry-hopping, which is a nice surprise considering the lack of serious hop presence on the nose. An important note: though the label recommends serving this beer at 40° it really opens up much better at room temperature. The description “funkhouse ale” is interesting – though it’s pleasant I think considering the funk available to wild-yeast Brett-infected Belgian ales it might be an overstatement. As a brett nut who likes my Belgians funkier than George Clinton, I think this beer is a bit restrained for the style and for the price. Give it some stinky cheese for a more complete experience, or try to score next year's offering a bit younger. Disappointingly few rieslings made in the Hudson Valley from Finger Lakes fruit maintain the true character of the fruit's origin. There are many reasons why this could be, some unavoidable. Trucking fruit or juice from central New York to the Hudson Valley certainly isn't going to make for a pristine start to the winemaking process. That can't help. Add manipulative or extremely low-tech winemaking techniques (lack of temperature control during fermentation for instance) and it's easy to see why many rieslings made and bottled in the Hudson Valley under the "New York State" AVA can be tasty, but rarely express or are recognizable as being born in the Finger Lakes. Not so with the Whitecliff Vineyards 2009 Riesling ($15). Lightly floral aromas lead into those of ripe peach, lime-grapefruit and honey with an underlying fennel note. Citrus flavors -- grapefruit and lime -- are primary on the palate, which shows good-not-great acidity and a light floral quality as the wine warms a bit. The residual sugar tastes more sugary than fruity here, even with decent acidity and balance, so it comes off a bit artificial/candied. The finish is medium-short and doesn't show great focus, but this is an everyman style of riesling and a nice effort. As the New York Cork Report continues to evolve and grow, it's important that we never lose sight of the fact that wine (and beer) are not meant to be enjoyed in a vacuum. You need food and friends to get the most out of wine and vice versa. With that in mind, please welcome Aaron Estes our new Cheese Editor. I've known Aaron for just over five years -- a fact that I'm able to remember only because I first met him at his wedding, which was only a couple months before my own. I do remember my own anniversary and thus sort of know when his is as well. Our wives went to college together and have been friends for a long time -- and sometimes those forced college-friend's-significant-other friends work out, I guess. This is one of those times, and many of the best "meals" Nena and I have had over the past five years have barely been meals at all in the traditional sense. Instead they often involved Aaron, his wife Christine and a table filled with cheese, cured meat, bread, olives...and of course wine and beer. An IT project manager by day, cheesemaker and cheesemonger by night, Aaron became a serious cheese freak a couple of years ago while spending time in Wisconsin on an opera gig. Yes. He's a singer too...just like Nena and Christine. When he isn't making cheese at home (quite well I might add), mongering at Lucy's Whey at Manhattan's Chelsea Market, or traveling to various farms for classes or inspiration, you can find him trying to put his passion for cheese and pairings into words at the Cave-Aged Blog. For the New York Cork Report, he'll be writing about the New York cheese industry and artisanal cheeses made in New York. There are some amazing cheeses being made in New York and they deserves more attention in much the same way New York wines do. If nothing else, I look forward to "researching" some co-written posts about cheese and wine pairings. Schulze Vineyards & Winery doubled its production area this spring. When I arrived at Schulze Vineyards & Winery to sit down with owner Martin Schulze to discuss his namesake winery’s expansion, I shouldn’t have been surprised that there wouldn’t be any actual sitting. Martin is someone who is well known on the trail for working 25 hours a day -- this day wasn’t any different. And Schulze was getting ready to rack his latest batch of Ruby in preparation for bottling. Ruby, a blend of concord, vidal and catawba, is just one of several wines that the winery can’t keep on the shelves. In three years, Schulze Vineyards & Winery has gone from a couple hundred cases to some 4,000 annually with another increase on the way. The success of wines like Ruby, Crackling Catawba and Mon Cheri have been the driving force behind the decision to build an addition to the winery’s production facilities, which increases the winemaking space from the original 2400 square feet to 5500. Although he prefers his sparkling wines and vinifera reds like cabernet franc and Meritage when having a glass himself, Schulze recognizes how the success of his sweet wines can improve his favorites. “The Ruby and all the sweets and the Crackling give me the possibility to do the dryer stuff better,” he says. Indeed, the increased capacity of the production area is crucial, yet isn’t the only physical change happening at the winery. Schulze is investing in several jacketed tanks and a glycol chilling system to control his cold stabilization and fermentation temperatures. He’s also increasing the size of the lab area and investing in more accurate instruments. Schulze stands out among the other winery owners, growers and winemakers as he is the closest thing I’ve seen around here to what the French call a vigneron or wine grower. He’s involved in every aspect of the process, both in the field and in the winery. It’s quite common to see him work from dawn to dusk on the family’s 100-acre farm in Burt, NY mowing, spraying, planting, harvesting, moving wine…anything and everything you can imagine. If it’s even possible, Schulze has become more involved since taking the winemaking reigns while they consider consulting winemakers. The winery’s first three vintages were made by Domenic Carisetti, who has since retired from Schulze Vineyards. Carisetti, who works with a handful of wineries in the region, helped transform Schulze’s native grapes into the winery’s roster of popular local wines. But Carisetti’s moving on has motivated Schulze to call upon his 30 years of experience making wine and take the lead in the lab. I also got the impression that he is getting excited about what other local growers are doing. In the past year the winery has supplemented its estate production with cabernet franc grown on the bench of the Escarpment. He mentioned the possibility of buying pinot noir for his sparkling wine as well. He’s planting muscat next spring and a friend’s farm on the Escarpment is adding riesling intended for a Schulze bottle. But even as the winery expands, don’t expect Schulze to delegate any of the extra work just yet. When I asked what jobs he could see himself relinquishing, I should have predicted his response. “None of them,” he says with a laugh. If you were a banker, you might not be that excited about helping Jeffrey Dill, either. See, the guy was not even 26 years old. He wanted to build and open a new winery in a region where at least two wineries are for sale and others are struggling. He wanted to do so in a dreadful economic period. And he told the bank he was counting on the local industry - his competitors - to help him get going. This was not a fat-chance scenario. This was a super-obese-guy-walks-into-a-donut-shop scenario. "The banks were confused," Jeffrey told me with a laugh. "They couldn't understand how I assumed I'd have help getting started. They would tell me that these guys are the competition, and other industries don't work that way." The banks were right, but the banks had never met Peter Bell, or Ted Marks, or Vinny Aliperti, or the Whitings, or the Stamps, or Phil Davis, or the folks at Wagner. "I thought I could get some assistance," Jeffrey said, "but I wasn't ready for just how helpful everyone has been. They literally just stop by and ask if they can do anything for me." Now, the J.R. Dill Winery is finally ready to open to the public. Jeffrey is waiting for the feds to approve his labels, and he expects to offer tastings within a month. The unofficial launch of J.R. Dill could come at the Finger Lakes Wine Festival. Located just south of Atwater Estate Vineyards and just north of Finger Lakes Distilling, J.R. Dill will start out small (1,400 cases) and build to about 5,000 cases within five years. Jeffrey, a Watkins Glen native who worked for a commercial mortgage lender outside Philadelphia before the housing crisis, is the owner but not the winemaker. "Right now it's me," he said reluctantly. "But even my first releases will be made or assisted by other winemakers, and I expect to have a full-time winemaker within about a year." It was Jeffrey's marketing savvy and knowledge of business that convinced the banks he wasn't crazy. Before he's even opened, Jeffrey is making plans for selling wine outside the region. "I see the market far beyond the tasting room," he said. "Seven billion people live on this planet. The market is out there. We just have to go find it." That puts J.R. Dill ahead of other local wineries that hope to survive on tasting room sales alone. Jeffrey will offer a small but diverse set of wines, including French American hybrids. "Those were some of the first wines I made when I studied enology, and some of the first wines I drank," he explained. "We'll make those wines because I still love them." One of the initial bottlings is a 2007 DeChaunac. There are still kinks to work out, and Jeffrey acknowledges the challenges of starting and owning a winery. He enjoys free labor from family and friends, but it's difficult to stay on top of each aspect. His website needs updating and greets visitors with photos of snow-covered buildings. Riesling is spelled incorrectly. But those are relatively minor problems for a new operation that is ambitiously seeking to beat the odds that are long and getting longer. "I love what I'm doing and I'm already having fun," he said. That's a good start, but of the seven billion people on this planet, all but several hundred have no idea who he is or what J.R. Dill is all about. The process of changing that starts now. Even with all the great wine stores in western New York within striking distance I still stop into smaller package liquor stores every now and then to see if the wine shelves hold any surprises. This time I found an interesting rosé made from 100% cabernet franc grapes.The package caught my attention right away with a 500ml bottle, but the origin of Galilee was the clincher. I’ve had a few wines from Israel in the past and I’ve been pleasantly surprised by their quality. This is definitely dark in color for a rosé with aromas of raspberry, cherry with only a faint herbal note. The mouthfeel is full and ripe with a tiny hint of sweetness. I love the balance of this rosé and if there’s a rosé that will appeal to red drinkers this is it. I’ll probably buy at least one case of this wine before the end of the week. Did I mention it was only $3 marked down from $10? I think the labels are screwed up so it ended in the odds and ends bin. Now it’s going to be my go to BBQ rosé this summer. You don't see too many Zinfandels produced in New York. That's because zinfandel is often recommended for growing regions that have 3000-3500 growing degree days, while the Finger Lakes, for example, gets around 2000-2500. So, according to conventional wisdom, the Finger Lakes region is not a good area for a warm-climate grape like zinfandel. Imagine my surprise, then, to find a zinfandel made at a winery on Seneca Lake. Now imagine my lack of surprise to find that it was made with fruit from California. This 17% ABV catastrophe (Did I hear the tasting room employee right? 17%?!) is a raisiny, soupy, alcoholic mess of jammy dried fruit that also smells like licorice with a little fish. By my rough estimation, to get to 17% ABV, the fruit was anywhere from 29-31 Brix at "harvest". I imagine that the grapes dried out a little bit on the long journey across the country. Alas, according totasting room staff, it's one of their best-selling wines. Yeah, I drink dark beers in the summertime. Give me an oatmeal stout in the middle of the desert and I'm a happy camper. And when I'm in the beer paradise that is the Midwest, I stock up on the beer that made me a woman: Founders Breakfast Stout. Unavailable in New York (ahem, Founders representatives), this burly lumberjack of a beer pours a thick and grainy dark brown into a goblet with a pinkie-finger burnt-toast head and little to no lacing (unsurprising at this alcohol level -- 8.3%). Coffee leads on the nose along with baker's chocolate, the booze and requisite sweetness minimal. Where this beer really shines to me, a certified stout maniac, is on the palate: roasty, smoky, hoppy, the sweetness as minimal as possible for the style. Out-of-whack sweetness is a dealbreaker for me but this beer is manly to the last crisp sip. When my bar customers ask me for my top five desert island beers, this Grand Rapids gem always tops the list. And just for the record: I actually have had this beer for breakfast. It's fabulous with peanut-butter-bacon waffles. I enjoyed this summer seasonal from Lake Placid Brewing, a member of the F.X. Matt family of beers, for the first time on a kayak on a gorgeous summer evening last week. Though I enjoy all of Lake Placid’s beers, this one impressed me as a solid example from my least-favorite beer season. Honey Rye pours a lovely reddish-bronze with a two-finger head, delicate lacing, and good retention sipped from a wheat glass. The nose shows buckwheat honey, orange peel, and almonds with the sweet bready rye and crisp hops standard for the style. A full, creamy, smooth palate hits the spot and completes the rye profile, with a crisp, clean finish. Too often, the term “summer seasonal” seems mistaken for “flavorless macro-style lager” -- the rye element is subtle in this brew but just present enough to lend much-needed palate depth. Damn refreshing on a hot summer day, it’s one of the best offerings from Lake Placid I’ve had in awhile. See if you can answer this question: What is the greatest white wine ever made in the Finger Lakes? What is the greatest red? For most people, that question is largely irrelevant. That's because most of us drink Finger Lakes wines within months of purchase. Bottles lay down about as much as the Statue of Liberty. But with the growing number of quality producers focusing on making wines that can evolve and improve with bottle age, we'll soon be kicking off a new project here on the New York Cork Report. We're compiling vintage reports that will help consumers know what they might expect if they discover an older wine in the cellar, in a shop or on a restaurant wine list. And if you talk to the winemakers themselves, and if you ask them to name a favorite vintage (or least favorite! ), you find a fascinating range of responses. Lucas Vineyards on Cayuga Lake sold out their first-ever riesling vertical tasting in May. Winemaker Jeff Houck found that his favorite wine of the tasting was the oldest: He loved the 2001 semi-dry. "It's encouraged me to tell customers, 'Why not lay down a couple of bottles?' If someone had laid down a case of that wine, they'd be happy people right now." But even Houck would say 2001 was a better vintage for reds in the Finger Lakes than whites. So which is the standout vintage of the past decade? "The rieslings of 2006 are stunning," says Peter Bell, winemaker at Fox Run Vineyards on Seneca Lake. Bell has seen two decades of vintages in the Finger Lakes, and 2006 stands out. "We endured rain during harvest, but riesling developed in this intense way. If you're setting your sights on great wine years, 2006 is one of them." "It's hard to beat the balance of 2008," counters Johannes Reinhardt, winemaker at Anthony Road Wine Company just down the lake from Fox Run. "The complexity of 2008 was the best I've seen for riesling in the Finger Lakes. We had the acid, but we also had the flesh to fill out the wines." That fleshy quality comes largely from the botrytis of 2008, which some growers tried to avoid. On the red side of things, three vintages stand out to Jeff Houck: 2001, 2005 and 2007. "Those years showed very good aging potential early on," he says. "We thought they probably would age well, and we're finding out that they have." Houck gushes about the tannin and concentration on the Lucas 2001 Cabernet Franc, but he's honest in his assessment of other vintages that haven't aged as well. "We've been surprised that '99 is not showing well. That doesn't make much sense, given the year, but it's the way it is. Everything else has lined up with our projections." For the non-pinot reds, 2007 is likely to stand alone as the ripest, most developed vintage to date. But for a balanced vintage that favors red and white, there is close to consensus. "You'd have to have 2005 in there," Bell says, before adding, "But of course determining the best vintage for age-worthy wine is like trying to hit a moving target. Do you want the wine delicious when young, maintaining that quality as long as possible? Do you want a big, awkward young wine that will mature? It's hard to say." Each of these wines had changed from their early-release days, and yet each was a reward for patience. Houck is already seeking better storage options as Lucas puts more emphasis on building a library. Few Finger Lakes wineries offer a library wine in the tasting room for regular customers -- many explain that it's poor economics to do so -- but that could change as the emphasis shifts gradually away from the "Drink NOW" model. Wine being a subjective beast, I'll close the same way I opened: I'll go ahead and choose the greatest white and red wine ever produced from the Finger Lakes. This is a silly game, but a fun discussion nonetheless. TasteCamp weekend led me to open a bottle of the Hermann J. Wiemer 1999 Late Harvest Riesling. Not at all a dessert wine, this is a rich but crackling wine of stellar complexity. It is almost boastfully long, maturing but still racy. Poured on the infamous TasteCamp boat, it stopped the show. My choice for red has been, since its release, the Ravines 2005 Meritage, a blend dominated by cabernet franc. For a while it was the go-to Finger Lakes red to take to blind tastings. Now it is more rare, and I'm guarding the remainder of my allocation. Last check showed it in excellent form. We'd love to hear your choices for your favorite vintages, along with your thoughts on the great bottlings over the years. And look for that major announcement soon from the NYCR about the vintage chart endeavor -- we'll be asking not only our industry readers for input, but also consumers who have been drinking local for years. Okay I'll admit it. I bit of more than I could err...taste when said we'd publish a rose and riesling review every day in May. It was a fun idea, but a hectic schedule at my job made it impossible, really. So, we'll continue writing about riesling and rose well into June -- and beyond. They are quintessential summer wines after all. Today's wine is the Croteaux Vineyards 2009 Ruby ($24) the rose-only producers first rose made with cabernet franc. The rest of their wines are merlot. In the same stylistic vein as Shinn Estate Vineyards' latest release, this is anything but a wimpy rose. It's more akin to a red wine, in fact. Black cherry and cranberry fruit aromas take center stage, but are supported by notes of earthy dried leaves and even dried mushroom -- not something you'll find in many local roses. Feeling like a light red wine in the mouth, with both fresh acidity and subtle tannic structure, the fruit character is more cranberry than anything else with a bit of dried cherry and a rustic, earthy edge. This isn't for everyone, and isn't priced for every day drinking, but try it with a burger or grilled portobello mushroom sandwich at your next barbecue -- it'll work very well.